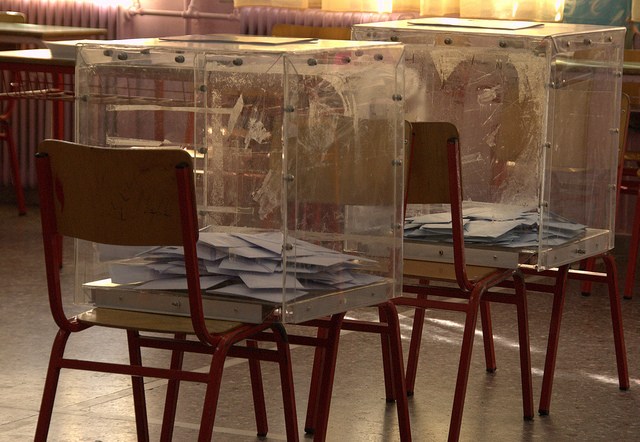 The Greek government’s “progressive” decision to lower the voting age to 17 should be considered as a role model for other EU countries, the European Youth Forum has told euractiv.com. The Greek parliament last month (21 July) approved by a simple majority government’s proposed changes to the electoral system, with 179 votes in favor, 86 against, and 16 lawmakers abstaining. Among other provisions, Greek lawmakers decided to lower the voting age, allowing 17-year-olds to vote in the next general elections. According to the new electoral law, about 130,000 17-year-olds are expected to participate in the next national election. For the Syriza-led government, this move will enforce youth participation. But the opposition parties do not share such a view and believe that Greek premier Alexis Tsipras is trying to “cheat” young people. But the coalition government rejected the opposition’s proposal to grant voting rights for Greeks living abroad. EXCLUSIVE / At least half a million Greeks are unable to vote in a referendum widely perceived as a choice on whether or not to remain in the eurozone, unless they return to Greece before Sunday’s poll. Johanna Nyman, president for the European Youth Forum, which represents 99 youth organisations in Europe, hailed the decision saying that youth rights are empowered. “The European Youth Forum welcomes this progressive decision as a step forward for young people’s rights to participate in democracy and we call on other European countries to do the same and indeed to go beyond this to lower the voting age to 16,” she said. Nyman said that by giving young people their democratic right to make their voice heard at an earlier age “Greece is recognising that engaging young people in politics will empower 17-year-olds and is a step towards young peoples’ having access to their rights”. 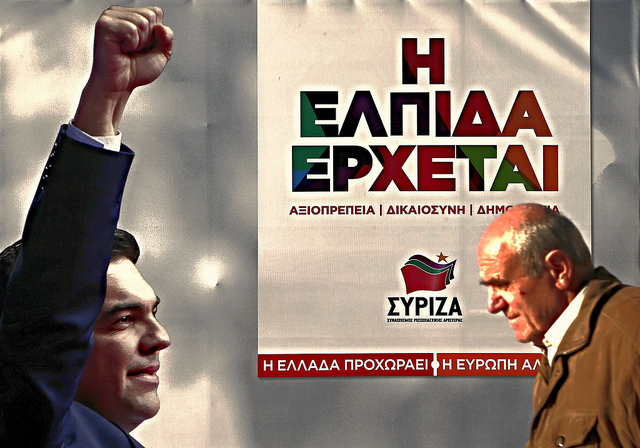 The leftist Syriza party claims that it represents something “new” in Greek politics. Syriza lawmakers noted that the political agenda is disproportionally focused on issues such as pension cuts, and youth issues like unemployment were out in the corner. “Voting in 17 is a motivation for young people to be politicised, take a step forward and take their life in their hands,” Tsipras said. The main opposition centre-right New Democracy party voted against the electoral law. Its leader, Kyriakos Mitsotakis, said that Tsipras was trying to “cheat” young people. “Since the prime minister wants to give additional rights to minors, is he ready to give them the obligations of an adult?” Mitsotakis asked. The right-wing politician also noted that everywhere in the world, except North Korea, people voted at 18 and above. “In a few countries, of which most are dictatorships, people vote at 17,” he said, triggering strong reaction from Syriza. “[Mitsotakis] is trying to discredit the young generation, considering it unable to decide on its future,” Syriza said in a communique, adding that “dictatorship” countries like Austria and Germany have already lowered the voting age. In Austria, voting rights in general elections have those who have completed 16 years, while the same applies to national and local elections in some Germany’s states. In Scotland, 16 and 17-year-olds can also vote in Scottish parliamentary and council elections while in Estonia 16-year-olds can vote in local elections. New Democracy lawmaker Miltiadis Varvitsiotis expressed fears that politicians and politics will enter schools. “Shouldn’t election campaigns take place in schools as is the case for working places?” Varvitsiotis said, adding that the government had not realised the consequences of such a move.